ITV Hub (formerly ITV Player), is an online video on demand service accessible though the main ITV website itv.com and through other platforms and apps. The service offers a variety of programmes from homegrown programming to imports across ITV, ITV2, ITV3, ITV4 ITVBe and CITV. Some programmes, imports and films are not currently available due to rights issues. ITV Hub is an online video on demand service that provides access to shows broadcast on any of ITV’s channels – ITV, ITV2, ITVBe, ITV3, ITV4 and CITV. Catch-up on your favourite ITV programmes for up to 30 days after they have been on the ITV or one of the other ITV channels. ITV Hub is available on a wide variety of devices and platforms, including online at ITV.com, Android and iOS devices, Windows 8, PS3, YouView, Samsung Smart TVs and some Freesat receivers. Content that has only aired on ITV (rather than also on ITV2, 3, 4, ITVBe or CITV) is only available to viewers located in ITV plc regions (in England, Wales, the Channel Islands, and southern Scotland). If the programme was also aired in Northern Ireland, or central and northern Scotland, then users located in those areas may be able to view it on the catch up services of UTV and STV respectively. The ITV website will attempt to detect your location automatically, using that provided by your ISP. ITV moved the majority of its online operations to Cisco Media Processor platforms, supplied by Garland Partners Limited (GPL). The transformation began in May 2010 when ITV began working with GPL to create the perfect streaming solution to deliver the FIFA World Cup on both Web and iPhone platforms, and has continued since. ITV developed its simulcast services to successfully stream the Rugby World Cup 2011 from New Zealand on ITV4 online and iPhone and iPad platforms. The solution was adaptive streaming—providing viewers with the best possible feed for the bandwidth available to them. “GPL supplied ITV with eight AS7100s―the high-definition (HD) platform from Cisco. Using these encoders, ITV was able to stream broadband feeds to its website using three adaptive streams at 200 kbps, 400 kbps and 1200 kbps. An iPhone service was streamed offering three adaptive streams (low, medium and high) at 110 kbps, 200 kbps and 400 kbps with a resolution of 400 x 300 to ensure they could capture all the action on the go, whether through their 3G or Wi-Fi connections. Knowing they will also be offering iPad, Android and Smartphone 3GPP streaming, ITV have since asked GPL to provide a further nine Cisco Media Processor platforms. These higher performance AS8100s each provide eight simultaneous output streams (and re-wrapped up to 32) for robust adaptive bitrate streaming. ITV also integrated the Cisco Media Management Console (formerly Inlet Spinnaker Management Console – SMC), which allows them easy collective management of all variants of Cisco Media Processors (up to 50 on one licence). 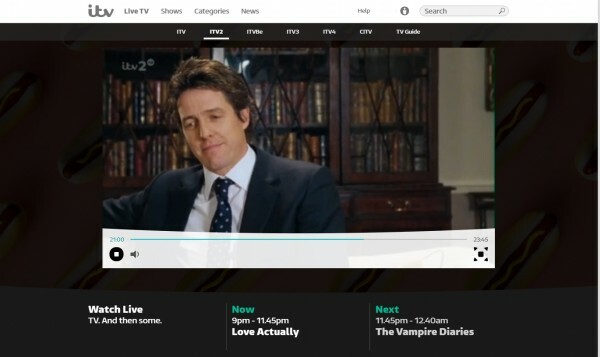 With bitrates on the AS8100 of 1,200 Kbps, 800 Kbps, 600 Kbps, and 400 Kbps, fours steps are being used for ITV’s adaptive bitrate streaming that goes into their new in-house designed ITV Player. This reflects the same profiles as used in their VOD (video on demand) strategy to give the viewers the same experience. Three of the AS7100s initially brought in for streaming of the FIFA World Cup are now being used by ITV Sports Monitoring. From wherever they are in the world, sports executives and producers can see what is going out live by tuning into their iPad, iPhones, or PC and logging into the stream. ITV Hub runs using Flash, so you will need Flash installed on your computer. Users are required to sign in to view content on ITV Hub. ITV Hub supports systems running Windows 10, Windows 8, Windows 7, Vista and XP; and Mac OS X (version 10.6 and above). ITV Hub uses Flash, a video application, and you will need Flash Player version 10 or above in order to use ITV Player. You can download Flash Player at: get.adobe.com/flashplayer. At the moment, ITV offer subtitles on around 70% of their content on ITV Player including most of their popular entertainment and drama programmes. In the case of live programming this can take up to two days to become available, due to the necessary re-purposing of the live subtitles post-transmission. At present, subtitles are not available on the ITV Player app for mobile devices or on connected TV’s. If subtitles are available, you should see a S symbol at the bottom right hand side of the player once you have begun the show. Simply select the S button to start the subtitles. To switch subtitles off, select the S button again and the subtitles will disappear. 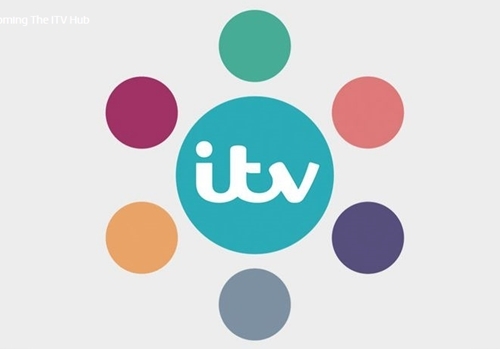 Not all ITV programmes are subtitles, ITV are constantly looking at ways to improve ITV Player and are looking closely at accessibility issues as part of the on-going product development. ITV Player identifies programmes which may contact inappropriate material for some audiences with a “G” symbol. When you choose to play one of these programmes, you’ll be asked to confirm you wish to continue before the programme will begin. All content on ITV Player is Guidance rated and will be flagged with a G and carry Guidance text if appropriate. Guidance content includes programmes that were deemed unsuitable for children on original broadcast and was therefore broadcast after the 9pm watershed and/or carried on air viewer information on original broadcast (e.g. flashing images). You can scroll the mouse over the G to see the content advice in detail (e.g. this programme contains strong language). PIN protection is prompted the first time you try to view G-rated content. 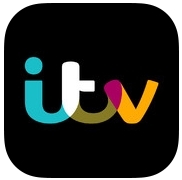 Once you have submitted your email address, ITV will send you an email with your new PIN. Please make sure you only submit a request for a new PIN once, to avoid multiple PINs being received. You will need to set the PIN on each device using ITV Player. In December 2008, ITV Hub (ITV Player) was added to BT TV’s TV Replay service, the deal was ITV’s first with a set-top-box VOD operator. It allows access to popular ITV, ITV2, ITV3 ITV4 anf ITV Be shows up to 8 days after their transmission as well as a selection of archive shows. ITV Hub is available on most Freesat receivers and all of the newer Freetime models. There is no live streaming available. ITV Player is available on channel 903 (older models). ITV Hub is not currently available on Freeview. On 29 January 2014, ITV announced it would make ITV Hub (ITV Player) available on Sky’s Now TV box. It was later made available 11 June 2014. On 11 June 2014 ITV Hub (ITV Player) was released on the Roku platform. On 30 January 2012, it was announced that ITV Hub (ITV Player) would be added to Sky’s On Demand service on 31 January 2012. The service is accessible through the main on Demand menu as well as a dedicated ITV Player section. ITV Player initially only offered archive content, with catch-up programming becoming available on 26 September 2012. On 6 July 2012, it was announced that ITV Hub (ITV Player) had been made available on Samsung’s Smart TVs and Blu-ray players through their Samsung Smart TV service, for 2011 and later devices. On 8 January 2009, it was announced that ITV Hub (ITV Net Player) would be added to Virgin Media’s digital cable TV service. The deal allows Virgin Media’s 3.5 million TV customers to view over 40 hours of programming from ITV, ITV2, ITV3, ITVBe and ITV4 each week. Popular shows such as Coronation Street and Emmerdale are all available for seven days after being broadcast as part of Virgin Media’s free Catch up TV service. ITV Hub (ITV Player) was one of four service available at the launch of YouView in July 2012. At launch the ITV Player app contained options to resume watching recent programmes and browse by channel, day and A-to-Z, but lacked integrated search and contained non-skippable adverts. During 2013, ITV intend to introduce paid-for content into ITV Player on YouView. ITV have temporally removed the ITV Hub app from the PlayStation app store. ITV Hub is not currently available for the Xbox 360 platform. The ITV Hub app features programming from ITV, ITV2, ITV3 and ITV4 for up to seven days after broadcast. However content is only available to view in the UK and ITV programming is blocked in the STV and UTV regions. A Wi-Fi connection is also required. The mobile apps were developed by digital agency Candyspace. An application for devices running Google’s Android operating system was released on 20 June 2011. The app requires Android 2.2 (Froyo) or higher and Adobe AIR. Each show is broken up to feature non-skippable advert breaks. On 14 January 2013, ITV Player 2.0 was released adding support for Android 3.x Gingerbread to 4.0 Ice Cream Sandwich and a re-engineered user interface. Due to Adobe not updating support for Android, Flash is not readily available for Android 4.1 Jelly Bean so the existing ITV Hub cannot be used. A new app was trialed and was only made available on Samsung products and received poor reviews on Google Play Store. Upon the release of the app on 9 May 2013, Samsung entered into an exclusivity agreement with ITV, with the ITV Hub app available exclusively on Samsung devices until 31 August. ITV’s online product director, James Micklethwait, cited “fragmentation of the Android ecosystem” as the motive behind the deal. An application for Apple’s iOS (iOS 4.3 or later) operating system and either the iPad (1st generation or later), iPhone (3GS or later) and iPod Touch (3rd generation or later), was launched on 1 July 2011. In June 2013, the iOS app was updated to add a trial premium section, allowing subscribers to watch catch-up content without advertising, as well as pay to view live streams of ITV3 and ITV4. 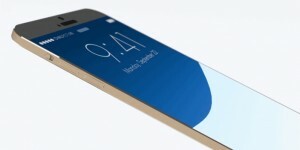 Early reviews of the updated app on the App Store were generally negative, with users commenting that the subscription option provided poor value for money. As of May 2014 the ITV Hub has been released for Windows Phone which is just like the Android and iOS versions. However, the STV Player app run by STV, who currently hold the ITV licence for Scotland, has been launched on Windows Phone. Users of the STV Player can input their postcode to verify they live in Scotland, thus allowing users who are visiting other regions of the UK, to use the app and view content. The STV Player app contains much of the content found on ITV Hub. The app enables viewers to access their favourite ITV programmes on the move, and is available to download for free from the Amazon Appstore. The ITV Hub app allows users to watch ITV’s channels live as well as access the last thirty days of ITV’s catch-up content across ITV, ITVBe, ITV2, ITV3, ITV4 and CITV.